Jason was the youngest radio station group owner in the world and his legendary programming and sales strategies are credited with revolutionizing many parts of the broadcasting industry. Later, he founded Jennings-McGlothlin & Company, a consulting firm that became the nation’s largest media consultancy. He traveled the globe in search of the world’s fastest companies for his landmark book, It’s Not The Big That Eat The Small - It’s The Fast That Eat The Slow. Within weeks of its release it hit the Wall Street Journal, USA Today and New York Times Bestsellers Lists. Now published in 32 languages, USA TODAY named it one of the top 25 books of the year! Next, he and his team studied more than 40,000 companies and identified the ten most productive companies in the world for his bestselling, Less Is More. The book reveals the secrets of the world’s most productive companies. 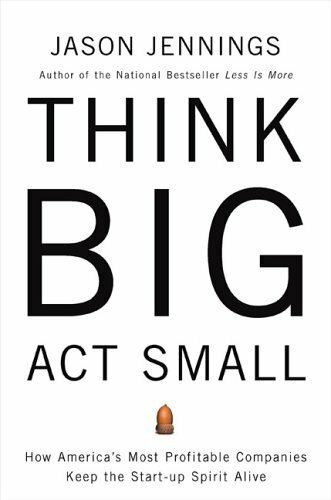 His last book, Think BIG - Act Small, profiled the leadership of the only ten companies in the world to have grown both revenues and profits by double digits every year for ten consecutive years. Like his previous books it debuted on all the bestseller charts. When not traveling the world on research and adventure travel, Jennings delivers 80 keynotes annually with USA TODAY naming him one of the three most in-demand business speakers on the planet alongside the authors of Good to Great and In Search of Excellence.